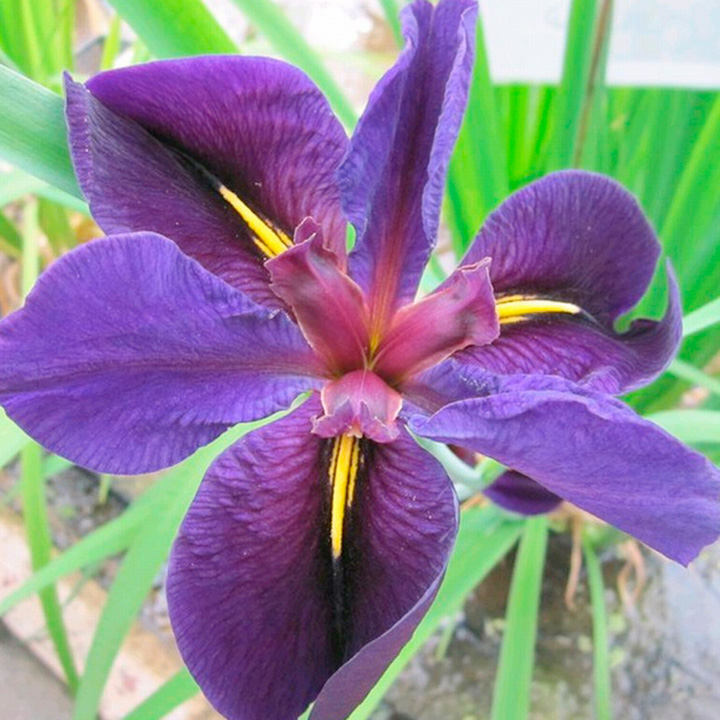 Stunning, giant, deep purple, near-black blooms adorn this beautiful Iris. As with all louisiana iris it is ideal for the pond, as it loves plenty of moisture. Flowes June and July. Height 80-100cm. Medium growing. Depth 20cm. PLEASE NOTE: Harmful if eaten. Supplied in a 1 litre pot. Prefers full sun or partial shade. CARE - After foliage has died back in autumn cut back to just above the water surface. If trimming is left until spring take care not to damage emerging shoots.